In 1895, Lord Kelvin, President of the Royal Society said, “Heavier than air flying machines are impossible” and look at us now! Recently a high school teacher shared the history of letter grades – they were first used to grade the quality of meat – A, B, C, and so on. Education took that symbol system on because it was a way in the day to be more “business-like.” Times are changing. The purpose of reporting is to support student learning and inform parents.Students, when given the tools to do so, are in the best position to support their own learning and to account for it. For example, I was part of a few research projects in the early 1990s – funded by the BC Ministry of Education – where elementary schools were working with parents, teachers, and students to move away from using letter grades. We learned a lot about how to do it well. I have continued to help schools and systems around the world achieve the goal of using classroom assessment in the service of learning and we have continued to learn more about how to do it well. In fact, Canada will be hosting an International Symposium and Conference on this very topic in April 2014. Finally times are changing. Evidence? There have been numerous news reports in the last several months about K-8 schools moving away from letter grades or other symbols or numbers on report cards. It is now time for quality classroom assessment and evaluation to become ubiquitous. Since the early 1900s when education starting using letter grades we have, as a society, been witness to amazing changes: we walk in space and on the moon, open heart surgery occurs routinely, and communication has changed from letters and telegrams to texting and Instagram and more ways to communicate are being invented daily. So, as an example, when I hear people say percentage and letter grades will always be a reality, I think about the places where they are not. When I hear people saying that involving students in reporting is a "cute idea but unrealistic," I think about the common practice of involving four-year-olds to eighteen-year-olds in student-parent-teacher conferences – students who regularly astound parents and teachers with their insights about their learning. Years ago we didn't think students knew enough to be part of the reporting process. Now we have evidence they can know enough. It was our limited thinking that got in the way. We need to teach them how to use language to explain their work - to explain quality - and we do that when we regularly and deliberately co-construct criteria. And, because there is rich experience in reporting without letter grades, symbols, or percentage marks, we have come to the place where more school systems are moving forward with significant changes. Here are two news reports you might want to read – one from British Columbia and one from Alberta. Parents know a lot about what they need to be informed about their own son or daughter’s learning. It only makes sense, given the trend to personalization and the technological means to do so, that teachers also communicate in a variety of ways. In a time when we can design our own websites, use digital day planners, order a vehicle to our specifications, and choose to use (or not use) a wide range of communication modes from Snapchat, Messageme, Facebook, Twitter, Linkedin, and so on, why would everyone need to report in exactly the same way? Educators, working with their school communities, are finding ways to support the reporting process to evolve. Technology allows us to work with original information rather than summarize it. Any information, when summarized, is changed by the view and values of the person summarizing. Parents need to look at samples of student work to make sense of the learning. They need their child - an informed student guide - to help them understand it. They need teachers who have informed professional judgement to respond to any questions that emerge. People value different things. The reporting process needs options and choices. System change is overdue. Too often assessment and reporting become solely issues of politics and not pedagogy. Politics, the art and science of government, is concerned with taking sides. Pedagogy, the art and science of teaching, comes from the Latin root 'agogos' –guide– it is concerned with teaching and learning. When learning, assessment, evaluation, and reporting become a collaborative venture with parents and students, they cease to be a matter of politics. And, as I reflect on the news reports over the past 20 years in relation to the issue of grading and reporting, things have changed. More and more people see report card grades as less important than the information that went into forming them. Maybe now in 2014 we are actually ready for the 21st century learning, assessing, and reporting. PS In our brand new book, A Fresh Look At Grading and Reporting in High Schools, Sandra Herbst and I not only review the key principles related to assessment and evaluation but we detail the way teachers enact this work in a variety of classes and subject areas in the high school setting. PPS You might want to check out our other book, Quality Assessment in High Schools: Accounts From Teachers. 2013 was quite the year! Sandra and I spent time in December reflecting on the year. I loved reading the 'Daily Good' posting about Five Ways Kids Have Inspired Us Through Play This Year. And what about this young man who has built a car powered by air out of Lego? Consider a non-profit called Apathy is Boring. Two amazing young people who decided to take action to engage and encourage others to get involved in voting started it. Their families and the educators who have taught them over the years have made it possible for them to make a difference. I've been inspired this past year by educators whose unceasing efforts make a difference. Consider...educators who are working with students and families to develop a reporting process that focuses on communicating evidence of learning. They are finding ways to reinvent reporting using the gifts of technology. They are finding ways to move beyond letter grades and percentages - inventions of more than a hundred years ago! Consider...professors who are changing assessment courses--to better reflect the reality of today's classrooms. 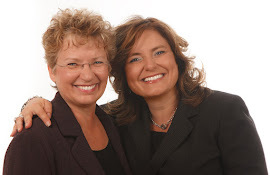 In particular, two professors who piloted our "Flipped Classroom" assessment resources. They have used these resources to engage pre-service teachers in important conversations during class time while giving them the option of revisiting key concepts over and over again on their own. This is another example of technology supporting personalized student learning. 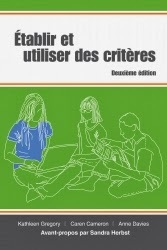 Consider... the many educators who supported Sandra and her colleagues as they worked hard to complete the French language version of Setting and Using Criteria and make it available to our French colleagues. It is long overdue. I am so thankful for all the work that went into making Établir et utiliser des critères a reality. It is flying into teachers’ hands and supporting their work! I know 2014 is going to be GREAT in part because we are such a collaborative collection of professionals. One example that comes to mind immediately is Assessment for Learning: Canada in Conversation with the World which is scheduled for April 2014 in Fredericton, New Brunswick. Imagine - all the International delegates are donating their time and energy so information and ideas about assessment from all over the world can be brought together in one place for five amazing days. Every spot at the International Symposium is taken with teams coming from more than 12 countries – amazing, eh? Invitations to the Canadian Symposium went out late in November. We expect to have representatives from every province and territory in Canada and from several national organizations. The Canadian Conference is also filling up quickly. If you haven’t registered yourself and your team, please do so soon so you won’t be disappointed. The Canadian Conference is a time for all of us to learn about the deliberations of the International Symposium - we'll be the first audience! There are so many more examples of people doing amazing things in support of students and their learning. I hope as this New Year begins you take time to appreciate all that has been accomplished before setting goals for the months to come. Just like our students, we need to appreciate and celebrate our many successes. After all, our successes give us the strength we need to tackle the goals we've set. PS Are you a doctoral student? Are you interested in attending the entire five-day event in Fredericton, NB in April 2014? We have a limited number of spaces – ten – for observers to be part of a doctoral seminar where they will spend their time between the International Symposium and the Canadian Symposium and have time to meet other doctoral students from across Canada who are also interested in assessment. Your registration will include your attendance at the Canadian Conference as well. Go here to apply.